Julian Mercer – his business card reads K & R specialist, but there isn’t much that the former Special Air Service commander won’t do. 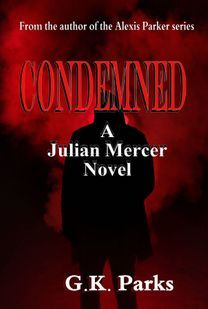 Ever since his forced retirement, Mercer and his team have been working extensively to negotiate the safe return of kidnapping victims, but that isn’t enough to satisfy Julian’s darker desires. His own life-altering tragedy has left him on the brink of insanity and violence, and only his team and his job can keep him from falling over the edge. But this latest mission could be a game-changer. Stumbling upon the scene of a botched assassination, Mercer offers to protect Katia Rhoade, a newspaper heiress, from the unidentified killer. But Katia wants more than a bodyguard, she wants a mercenary who will hunt down and kill the animal responsible for nearly murdering her fiancé. Crime, corruption, and dishonesty are commonplace among the rich and powerful, and Mercer has difficulty trusting the police and the Rhoades. But the former SAS is a man of his word. Violence and mayhem sweep through the city as Mercer and his team race against the clock to stop a contract killer and identify the puppet master. But the hired gun is just a symptom of the underlying disease, and until the man pulling the strings is stopped, a life hangs in the balance. In order to keep his promise, Mercer may have to abandon his morality or lose his life to stop the man responsible.